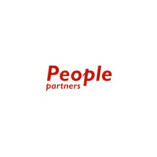 People Partners, a renowned name in HR industry. People Partners, a renowned name in HR industry, works with a wide range of clients, ranging from IT sectors and Communication businesses to NGOs. Created as a merger of HR divisions of Vive Transactions and Thea Marais Consulting, People Partners has more than a decade of experience in quality HR and B-BBEE solutions.